Trainer.ae has group boxing and kickboxing classes for women in Dubai, these classes are led by a female instructor and are women only classes. The spaces in our women only boxing classes get filled very fast, if you are interested in attending please get in touch with us asap (Whatsapp number UAE : +971 56 58 30067). These, group boxing get fit classes are offered in all parts of Dubai. 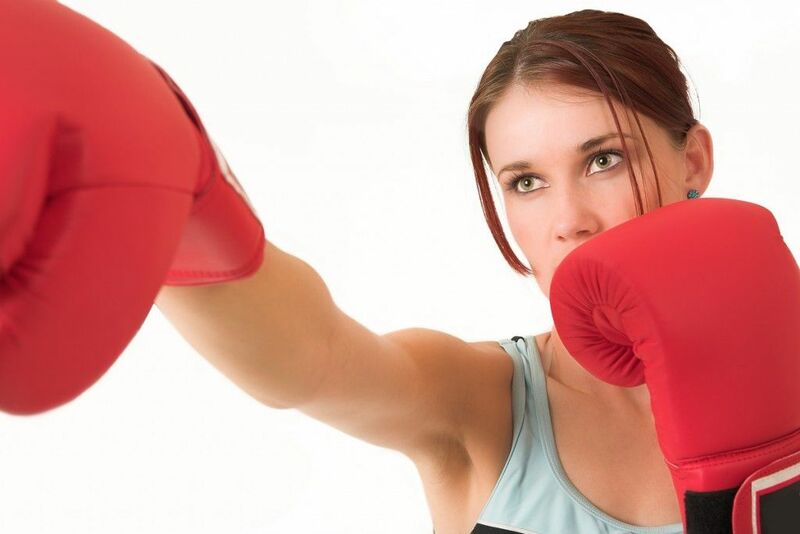 We will try our best; to fit you into a female boxing class close to your house but in certain circumstances, if the class close to your house is full, we will provide the next closest location. You will not only be able to train like a fighter in the sport of women’s boxing to get a healthier body but also learn to protect yourself. These women only classes in Dubai will deliver a motivational, empowering boxing class that is geared for every student to do their very best, both inside and outside. Attendance at our Ladies only boxing classes in Dubai is open to members only during scheduled classes. Those interested in membership are required to signup for our Basics Class. This first class provides prospective members in Dubai with an introduction to boxing, our instructor, and the program. For those of you who are tired of traditional gyms and want to use an empowering sport of boxing to get fit, we invite you to book fast! Contact us : Click here to send us your details we will get back to you asap. You can also fill in the form below for a quick response. Note: our women only boxing class for Burj Khalifa is now fully booked. We are in process of creating a secondary class, which will start after Ramadan. Book your place early. We have limited spaces available in our closest location to Burj, please get in touch. Posted on 15th June 2015 by admin. This entry was posted in Group Classes and tagged Dubai boxing classes for women only, female boxing classes in Dubai. Bookmark the permalink. One of my all time dreams was for my daughter to learn boxing and use it to stay fit. How do I register myself and my daughter in your women only classes starting mid July? We live in the Burj. Also would love to find out more about private boxing lessons for Burk Khalifa residents? @Nilah – Boxing is a great sport to stay fit and to defend yourself. We already provide private boxing lessons for other residents in Burj Khalifa. Normally we warmup on the 76th floor and then depending on the client do the lessons in their home or the open area next to the Dubai mall fountain. If you want to do it outdoor, the lessons are available early morning and late evening. If you want to do the lessons indoor, we can accommodate other times also (depending on the availability). please contact us on Whatsapp number: +971 55 432 4361 and i will personally get back to you right away. hey, I’m interested in these classes and would like to know the cost. I live in Dubai. Please send us a message via WhatsApp on +971 55 432 4361 for more details. Please send a message to the Whatsapp number below the article. We’ll get back to you.